Robin Munro Madaffer is the President of San Diego Land Lawyers, Inc. a law firm specializing in real estate, land use and environmental regulatory matters. She counsels clients who develop mixed-use, residential, commercial, industrial, office, retail and resort projects. Robin advises on all aspects of the land use entitlement process, including due diligence, CEQA compliance, Subdivision Map Act, Coastal Act, development feasibility, community outreach, processing, permitting and implementation. Robin appears regularly on behalf of clients before Planning Commissions, City Councils, Board of Supervisors, Coastal Commission and other public agencies. Robin is the Second Vice Chair of the Downtown San Diego Partnership. She received the Chairman’s Alonzo Award for her work chairing a partnership between business, government and social service providers dedicated to ending homelessness in San Diego. Robin is a member of Lambda Alpha International, a national real estate economics society, and past District Council Chair of Urban Land Institute San Diego/ Tijuana. Robin is a professor at the University of San Diego, Real Estate Certification Program, and a former law professor at California Western School of Law, teaching Land Use Entitlements and Environmental Regulation. She serves as a Judge for the Moot Court Competitions for both University of San Diego and California Western Schools or Law. Robin routinely speaks to professional industry organizations and the media about emerging trends in land use. Farah Mahzari joins San Diego Land Lawyers as Director of Government Affairs after retiring from the City of San Diego. She was at the City for over 30 years where she worked as a Senior Development Project Manager in Development Services Department and an Associate Engineer-Traffic in both Development Services and Transportation & Storm Water departments. Farah has a wealth of engineering and project management experience. She is a hybrid expert – an engineer who is comfortable working alongside planners to shepherd projects through the maze of development process. She provides services to property buyers, owners, and developers on due diligence and site assessment matters. In addition, Farah is fully versed in the permitting and processing of discretionary and administrative permits, subdivisions, approvals and property development entitlements, as well as neighborhood code compliance and zoning violation matters. Farah has a proven track record of excellent customer service, problem-solving, negotiating, and the ability to balance the competing interests in regulatory and political environments. 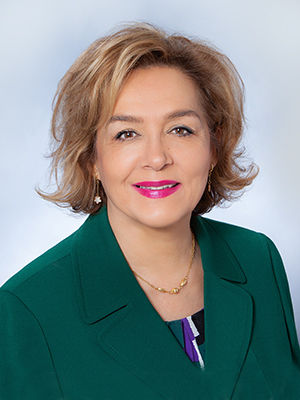 Farah earned a Bachelor of Science in Civil Engineering from United States International University and has benefitted from numerous leadership academies at the City. She worked at the County of San Diego, City of El Cajon, and a private engineering firm prior to joining the City of San Diego. As the Administrative Manager for San Diego Land Lawyers and Madaffer Enterprises, Vanessa comes to the team with a demonstrated history of working in an executive office. Company compliance is her main focus for both firms. 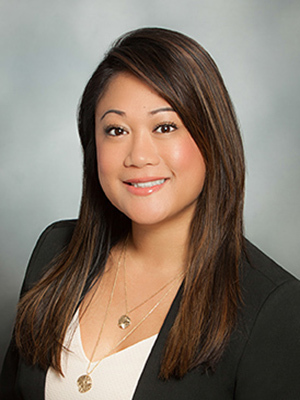 With a strong background in accounting, business relationship management and contract management, Vanessa is responsible for book keeping, client agreements and billing for San Diego Land Lawyers. 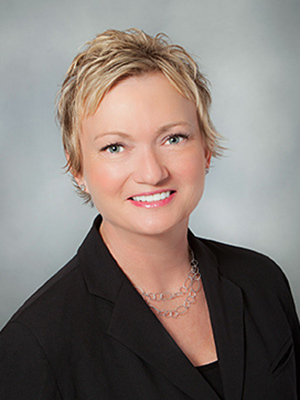 Vanessa has over 20 years of experience in administrative support and 10 years of experience in event planning. She has a broad level of skills including, calendar management, project management, customer service, investment and property management, business development, client relationship management and marking strategy. Her educational background is in Business Administration and she studied at both Grossmont College and the University of Phoenix. Vanessa is currently pursuing a certification in accounting. With a growing family, Vanessa and her fiancé are currently raising their 18-month-old son and two French Bulldogs. They live in Northern Escondido and love to explore the outdoors in their free time. Jenny Craig – assist with land use entitlement strategy for 200+ acres in the county of San Diego. Surf Cup Sports Entertainment – negotiated and drafted lease with the city of San Diego for the property commonly referred to as the Polo Fields. Advise and assist with approval of development and use permits for the property. Scripps Health – outside real estate/land use counsel advising and assisting with redeveloping Scripps’ medical campuses throughout San Diego. Westfield – outside real estate/land use counsel advising and assisting with processing, approval and implementation of a master redevelopment of UTC mall, Horton Plaza, Mission Valley Mall and others. Pacifica Enterprises – negotiated and drafted lease with the city of San Diego for Belmont Park. Marriott International – local lobbying and political strategist for potential new hotel in the downtown Ballpark District.